Being counted as one of the leading manufacturers and suppliers of the industry, we offer a wide range of Male Mannequins. 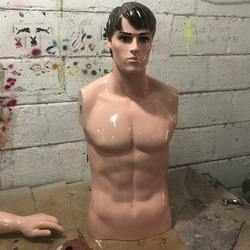 Our range comprises Sitting Male Mannequins, Molded Hair Male Mannequins, Headless Male Mannequins and Male Mannequin Wigs. 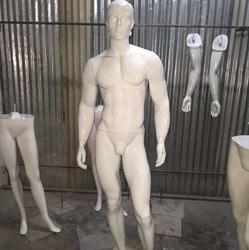 With an objective to fulfill the diverse requirement of the clients, we are also engaged in offering Devil Male Mannequin that is provided with detachable arms and legs that help in dressing them easily. These mannequins have molded hair style which provides a real look to these Mannequins. Our range is demanded by various shops, stores and showroom owners to display clothes. The offered product is offered in several sizes to meet with the variegated demand of the customers. We are engaged in offering a wide range of Sitting Male Mannequins. These Mannequins are available in sitting position whose hands and legs can be attached and detached easily as per the requirements of the clients. Our products are available in different sizes and looks that can be availed at industry leading prices. Additionally, our products are suitable to display any kind of attire be it Indian or western. 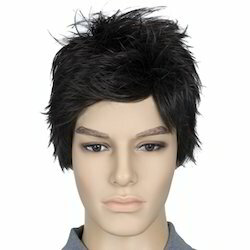 We hold specialization in offering a wide range of Male Mannequin Wigs. Our products are available in various styles and colors that would match different attires. These wigs are specially designed for mannequins as they help shop owners to create the desired look. Moreover, the products we offer meets the display related needs of clients as it is available in different sizes at industry leading prices. 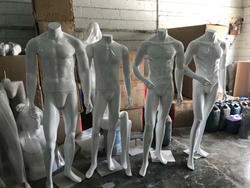 Looking for Male Mannequins ?